The UK Cards Association’s recently released Annual Report 2014 notes that debit and credit card fraud rose in the UK over the first six months of 2013, adding that the rise is partly offset by the relatively greater increase in card payments volume. Fraud losses on UK cards totaled £216 million over the first six months of 2013, a 17% increase over the equivalent period of 2012. This figure is still down 29% on the equivalent period in 2008 when credit and debit card fraud peak at more than £304 million. Although fraud on purchases made by cards online and over the phone rose 23% compared to the first half of 2012, this needs to be seen in the context of the increase in card spending, particularly on the internet. Fraud losses for e-commerce have reduced by just under a quarter since their peak in 2008, despite a two-thirds increase in online card spending over the same period. Industry experts believe that the increase in losses over the first half of last year were due in large part to a change in methods amongst fraudsters. 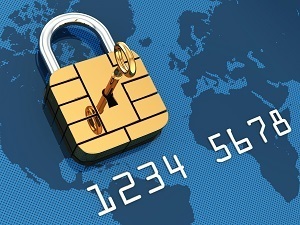 Over recent years, a number of enhanced security features have been introduced, including Chip & PIN, online shopping protection, and more sophisticated detection processes used by banks and retailers. As fraudsters have found it harder to attack the system, they have turned to deception crimes aimed directly at consumers. These typically seek to trick cardholders into parting with their financial and personal information, including their passwords, PINs and payment cards. The Dedicated Cheque and Plastic Crime Unit (DCPCU) is a special unit that consists of police officers from the City of London and Metropolitan Police Service who work alongside card payment industry fraud investigators. The DCPCU’s stated objective is to identify and target organised criminal gangs responsible for card and cheque fraud. Since its inception in 2002, the DCPCU has achieved £450 million in savings from reduced fraud and recovered approximately 700,000 counterfeit cards and compromised card numbers.